Charge, secure and transport 40 devices. 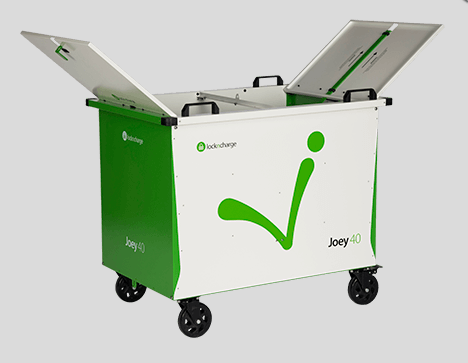 The Joey 40 Cart allows districts to enjoy the education-focused designs LocknCharge is known for at a more entry level price. An easy to use, compatible and secure design assures that you only pay for what you need. Only add the features you need – from optional Baskets to lock down kits – you can customize the Joey to best fit your deployment needs. Best of all, this multi device charging station is compatible with almost any device, so it is a smart choice for assuring the devices you have today and the devices you have in the future will be charged and secure. Compatible. The Joey 40 Cart can accommodate almost any device such as laptops, tablets, ipads or Chromebooks up to a 15″ screen size – with or without covers in the divider storage system. Click here for a device compatibility template. Safe, efficient and a future proofed power management system for charging 40 devices at once. ECO Safe Charge can handle the power requirements of almost any device by staging the availability of power to each bank of devices. Secure. 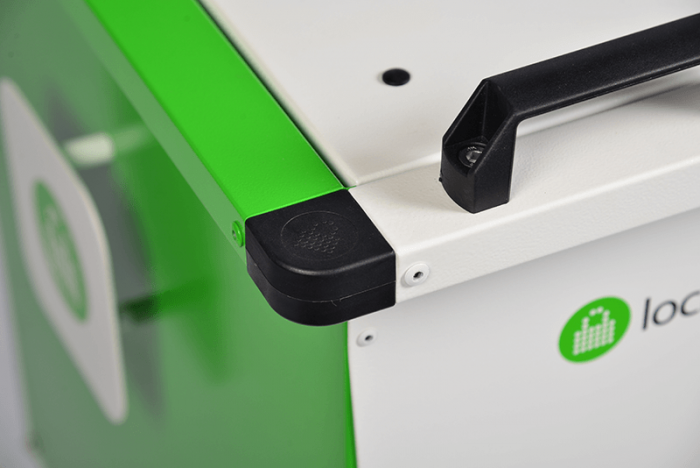 The Joey Cart, while an economical multi device charging cart, is still made with high quality steel and includes a padlock to assure that devices are secured when not in use. An optional anchor kit locks down the whole Cart for additional security. 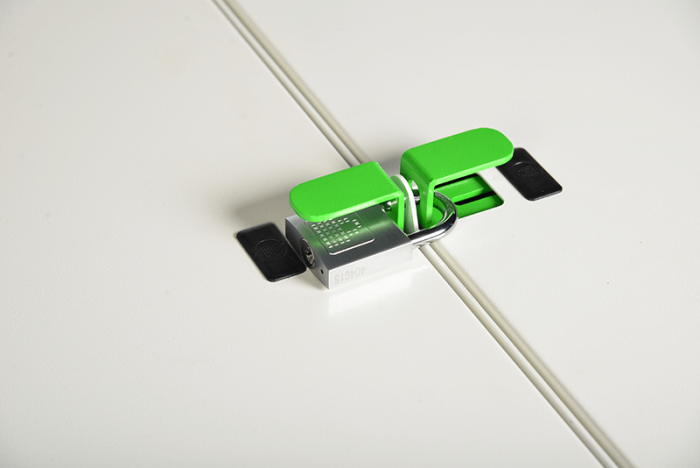 Easily switch your fleet of Cart’s locks from keyed different to keyed alike depending on your deployment needs. Portable. Easily wheel the portable charging Cart where devices are needed on 5″ Casters. For extra portability, Baskets by LocknCharge can be purchased separately to assure devices can be safely and quickly distributed. Weight: 96.8 lbs (cart only) - 44 kg.